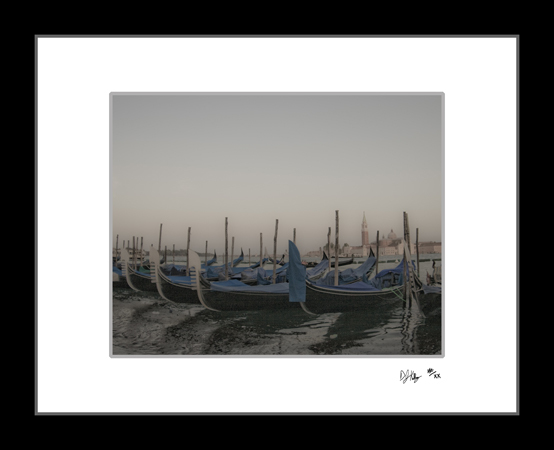 This fine art print captures a row of gondolas that appear to be in the mist in Venice, Italy. The lighting combined with the reflections in the water give a soft appearance to this photograph. The black of the gondals reflecting in the water contrast with the gray undefined sky. This scene was captured near St marks Square.